The Galway Rose Centre is delighted to announce that whoever is selected to be the next Galway Rose will be guaranteed a place at the 2016 Rose of Tralee International Festival. Taking place from 17th to 23rd August, the 2016 Rose of Tralee International Festival will run for seven days featuring almost 70 Roses, more entertainment and an extra night’s TV coverage. For the past 11 years the Galway Rose had to travel to Portlaoise at the end of May to take part in a qualifying event to try and make it through to the televised stages of Ireland’s top festival. Only 32 Roses can be accommodated on live TV and, until now, it wasn’t feasible for the organisers to accommodate the full inclusion of the other 38 Roses at the Festival in Tralee. All the Roses who travel to Tralee will take part in all the parades, Rose Ball, public engagements and a qualifying event over two nights in the Dome from which 32 Roses will be chosen to appear in the live selection broadcasts. This is a great incentive for more young women aged 18-27 to enter the Galway Rose event this year in the knowledge that once she is selected, she will definitely travel to Kerry in August to enjoy the Festival. As Olga Lee reflects on her year to date as the Galway Rose she describes the whole experience as being “unforgettable – the people I have met, the causes I have helped and the friends I have made, have made this the most rewarding experience you can imagine and I would encourage any girl to get involved.” Olga still attends many functions across the county, as the 2015 Galway Rose, promoting several charity & local events along the way. Anyone who wishes to find out more about entering the Galway Rose Selection, please call/text us on 087 147 4100, email galwayrosecentre@yahoo.com or find us on Facebook at Galway Rose Centre. 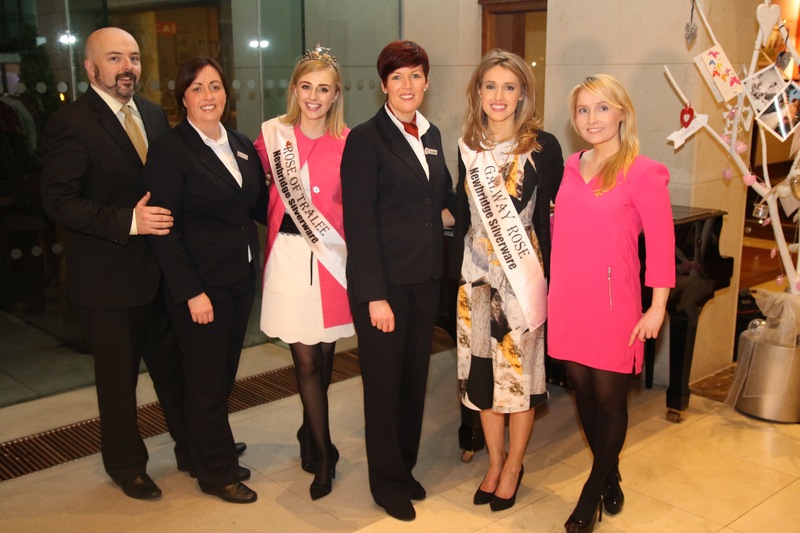 Remember – the 2016 Galway Rose could be you!